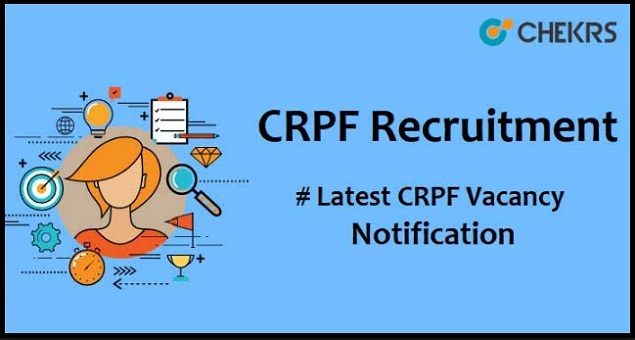 CRPF Recruitment 2019: Central Reserve Police Force (CRPF) going to release notification to recruit vacancies for both female & male candidates for Constable, Sub-Inspector, Assistant Sub-Inspector jobs 2019. Interested candidates can check the details of CRPF Recruitment 2019 Online Form, application dates, eligibility & vacancy details as below. The candidate who meet the eligibility only registers for the CRPF Jobs Application Form 2019 before the last date to appear for the selection process. Details of CRPF Constable/ Si Bharti Selection & process of registration etc given in the article below. Every year Central Reserve Police Force recruits candidates for various Government Jobs. Currently, CRPF announcing a job notification of technical & non-technical vacancies for various states. Therefore to get details of CRPF Constable Recruitment 2019 and another job, you must visit our site further. Applicants currently looking for latest CRPF SI Bharti 2019 can get details here. We aim to provide the precise details in regards to Latest CRPF Job Notification 2019. Applicants can check the educational qualification details on the official notification. Officials provides seperate qualification requirements for different posts, so post wise eligibility details available below. Minimum Matriculation/ Class X or equivalent qualification from a recognized board/ university recognized by the Central or State Govt. Should possess “Transport Vehicle (Heavy)” driving license and pass the driving test at the time of recruitment. Minimum Matriculation (10th Class) pass in 10+2 examination system from a recognized board or equivalent. Possessing 02 years Industrial Training Institutes (ITI) certificate in Mechanic Motor Vehicle recognized by National or State Council for Vocational training or any other recognized institution. And one-year practical experience in the field of concerned trade OR National or State apprenticeship certificate in Mechanic Motor Vehicle Trade of three-year duration from a recognized institution. Ans one year of practical experience in the field of concerned trade. Minimum matriculation/ class X pass or equivalent from a recognized board/ university recognized by the Central or State Govt. Must be proficient (having work experience) in respective trades. You will be redirected to the main page. Now fill the form with all the required details. Take a printout of form for further requirement. Candidate must carry it at the time of the physical fitness exam. To receive more updates on Latest CRPF Recruitment 2019 keep visiting our site www.jobs.chekrs.com. In case of any query or review, you can place your valuable comments in the commenting section below. We will revert you in a short while.